It sounds like a Taco Bell gimmick. 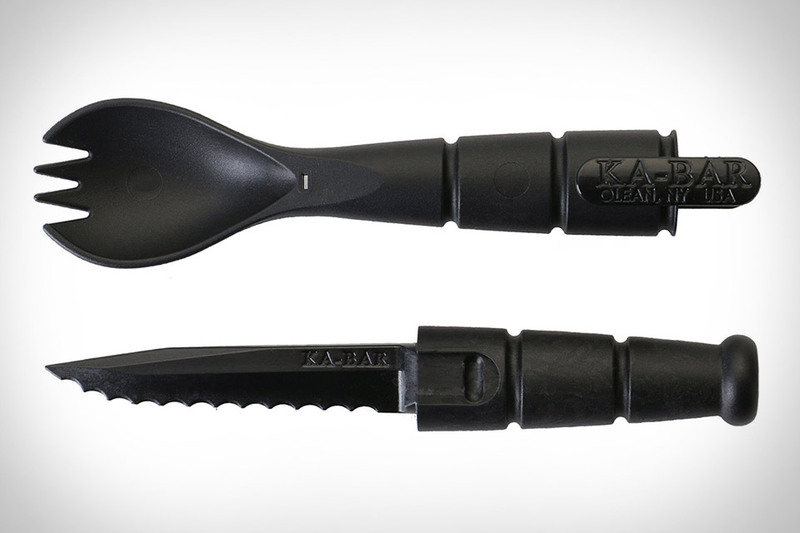 But the Ka-Bar Tactical Spork is no joke. Made from a high-strength, food-safe polymer, this compact camping tool hides a 2.5-inch serrated knife inside its body, giving you everything you need to enjoy beef, chicken, and game while in the wild — everything but fire, that is. Designed by architect Harry Gesner to be both beautiful and portable, the Autonomous Tent is an eco-conscious way to enjoy the outdoors. Available in two sizes — the 700 sq ft Cocoon and the 1,000 sq ft Tipi — these shelters can be set up or taken down in a matter of days, with a curved design that features strong frames made from steel, aluminum, or laminated beams, and translucent fabric shells engineered to handle winds of up to 90 mph and heavy loads of snow. They sit on wooden decks, so they don't need a foundation, and they can easily hook in to available utilities or, if necessary, can be outfitted with solar panels, composting systems, grey water systems, and other equipment that allow them to operate off-grid. Highly compact but still powerful, the Yshoot Sport Pack Slingshot is a reliable weapon that fits in your pocket. It's built from polycarbonate and weighs just 1.6 oz, including the elastic bands, and has a loader attached to the handle that uses magnets to keep the stainless steel marbles in place until you're ready to shoot. The unique design means it doesn't need the customary armrest, and it arrives with a pair of bands and a pouch to keep everything together. You're already using your phone to keep track of your fishing. Why not let it help you find the fish, too? FishHunter Pro is a Wi-fi enabled gadget that floats on the surface of the water, giving you real-time sonar information in an easy-to-understand interface. It can find fish as far down as 150 feet, has a range of 160 feet, a battery life of up to 10 hours, and can handle temperatures down to -22 degrees, making it suitable for ice fishing, as well. Developed in collaboration with Dayton-based H. Gerstner & Sons and illustrator Ross MacDonald, the Best Made Field Desk is an heirloom-quality piece meant to let you stay productive no matter where you are. 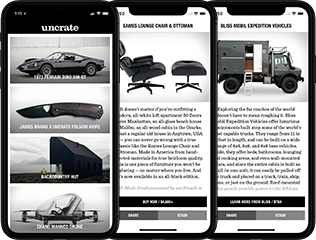 The case is made from kiln-dried American cherry that's plain cut to help expose the grain, and has a red leather work surface that lifts on either end for access to the storage compartments underneath. It's finished with brass corner guards, a leather handle, and comfortable shoulder strap.